A book for busy people! It is about relationships, finding career success, prosperity and peace of mind. Featuring 55 full-page illustrations, HAPPINESS NOW is a true work of art. Brilliant, insightful, fun and helpful! I LOVE Andrew’s work! Delightful! Reading just one page uplifts my day! I recommend this book for all ages and nationalities. It is a great gift! “Happy people don’t have less problems. 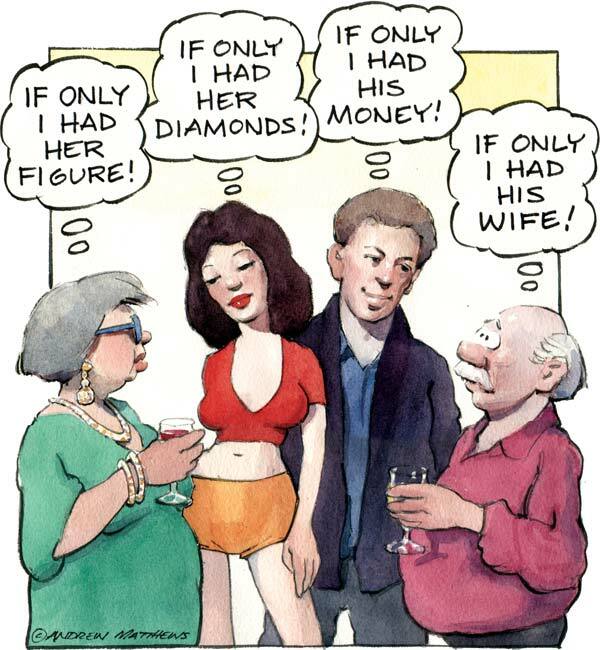 They think differently.” We can learn to think how successful people think. 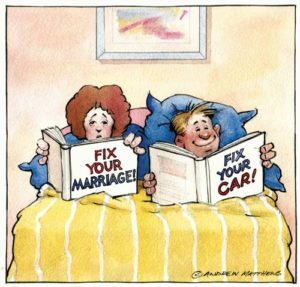 Happiness Now features 70 of Andrew Matthews’ cartoons. 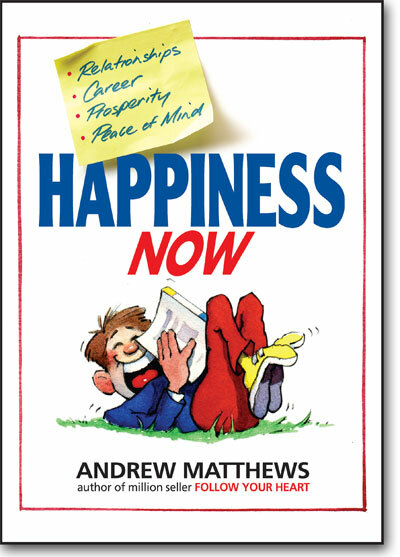 Happiness Now is a companion to Andrew Matthews million sellers Being Happy! and Follow Your Heart. Andrew’s other bestsellers include How Life Works, Being a Happy Teen and Happiness in a Nutshell. Andrew Matthews books are prescribed to patients by psychologists and psychiatrists world wide. They are used by life coaches and sporting coaches including world famous golfing coach David Leadbetter. Andrew Matthews runs happiness workshops around the world and he has addressed over 1,000 international corporation on enjoying life and work.